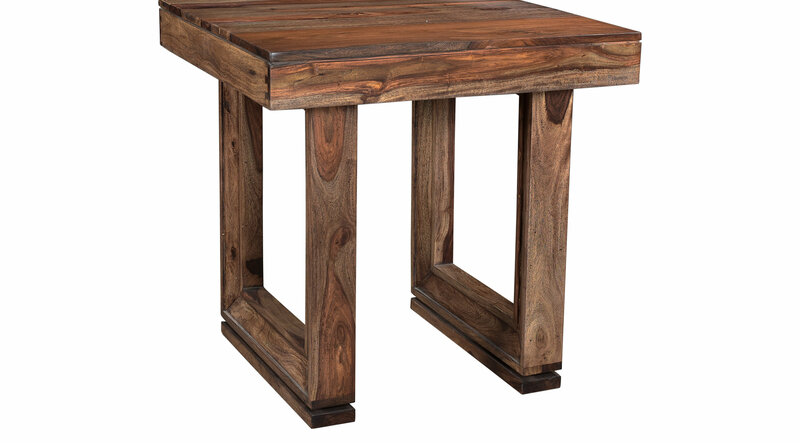 The Brownstone Nut end table provides the perfect companion to your favorite sofa or chair. Pair one or two with the matching cocktail and sofa table (sold separately) for a put-together look. The beauty of the sheesham-like wood grain is highlighted by the application of the rich brown finish. Picture framing adds a sophisticated element to the simple design of the leg. Clean route line runs along the table top and leg base, visually lifting the table off the floor.